Have you thought about moving to Costa Calida? Would you like to live in the southeast of Spain? If so, our real estate agency recommends that you buy properties in San Pedro del Pinatar - Murcia. Our homes are located north of the Region of Murcia, very close to Orihuela Costa (Costa Blanca - Alicante). San Pedro del Pinatar has everything you need to live at ease and quiet. This city offers incredible weather. And not only in summer. Its temperatures are pleasant in winter, so if you come from another country or another region of the north you will not have to worry about living every day in bad weather. Then in summer its temperatures are very high. Ideal temperatures to enjoy the closest beaches of the city, which are characterized by crystalline, quiet and fine sand. 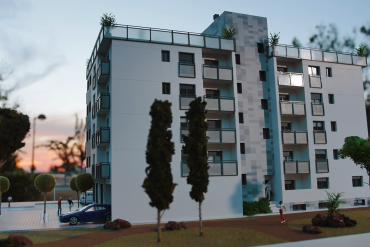 Why buy property in San Pedro del Pinatar - Murcia? Casas Espania recommends buying properties in San Pedro del Pinatar - Murcia, more specifically their properties, because they are ideal to enjoy your next vacation or your retirement. They are modern, attractive and perfect to face the day to day with energy. Our properties are located in areas that help you improve the quality of your life. Quiet areas or very close to the sea. In addition, you can cool off in your pool if you wish. Pool or sea? You decide how to enjoy it. If you are looking for a property that offers beautiful views, our properties for sale in San Pedro del Pinatar offer them. These are some of the main characteristics of our properties on the Costa Calida. If you want to know in depth the rest of the details of these homes, you just have to get in touch with our real estate agents. 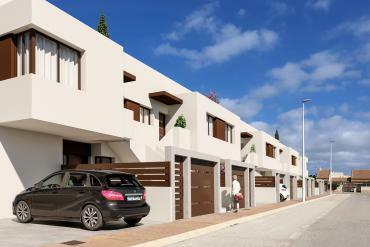 Would you like to contact us to buy properties in San Pedro del Pinatar - Murcia? If you want to get in touch with our real estate agency to buy properties in San Pedro del Pinatar, you can come and meet us in person at Avenida de la Libertad 102, Los Alcazares, Murcia, Spain. If you find it more convenient to call us or send us an email, you can also dial 0034 966 107 981 or write to info@casasespania.com. We will respond in the shortest time possible.